This week saw the passing of Lou Reed. As a music teacher, I still use “Perfect Day” as a teaching tool. And Reed’s incredible original version on “Transformer” as THE example of someone who isn’t a good singer but IS a great vocalist. Friends of mine met him, one was lucky enough to work with him. All speak of the acerbic wit and some, the legendary rudeness. I was just a fan but I can’t begin to say what a tremendous inspiration he was to my songwriting and how much I loved his lyrics. Along with David Bowie, Reed was major part of my teenage soundtrack and caused my mother to worry about me and the music I was listening to. 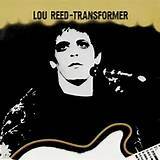 I still listen to my Velvet Underground and Lou Reed cd’s and that still makes me happy. I read this tonight on The Guardian UK and I think (as is often the case) Neil Gaiman summed it up beautifully. So I share it with you. I am sad tonight too….